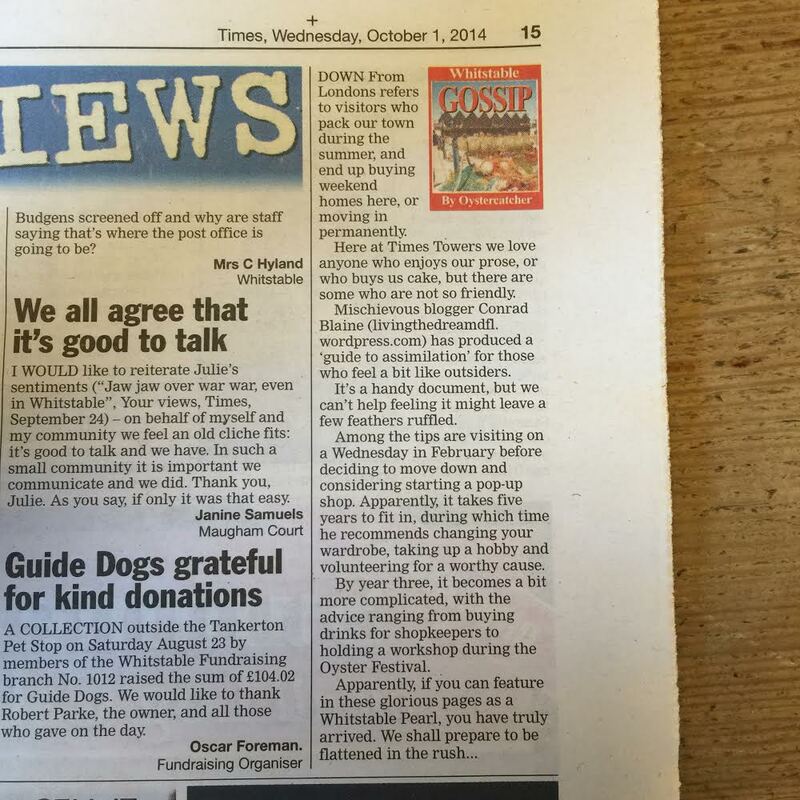 A very close, local friend just sent this to me – apparently I’ve made the gossip column of the LOCAL RAG! Well if you’re visiting me for the first time because you saw mention of my blog in their column, hello! You might not always agree with what I have to say or my world view, but it is only MY view. I don’t have a problem if I’ve ruffled feathers either – I think debate is a force of good. Let’s face it, this whole DFL bashing malarky has been going on (in my memory) since at least 1990 when we first visited. There is room for more than just a black and white view of it. If you agree or disagree with anything I’ve written or you just want to say hello, or if you want to talk, I don’t know, fashion, kite surfing or beards, leave me a message! And if you’re really offended, I’ll just delete it! Ok – enough of this small town back street gossip – it’s the London Film Festival – starting TOMORROW! 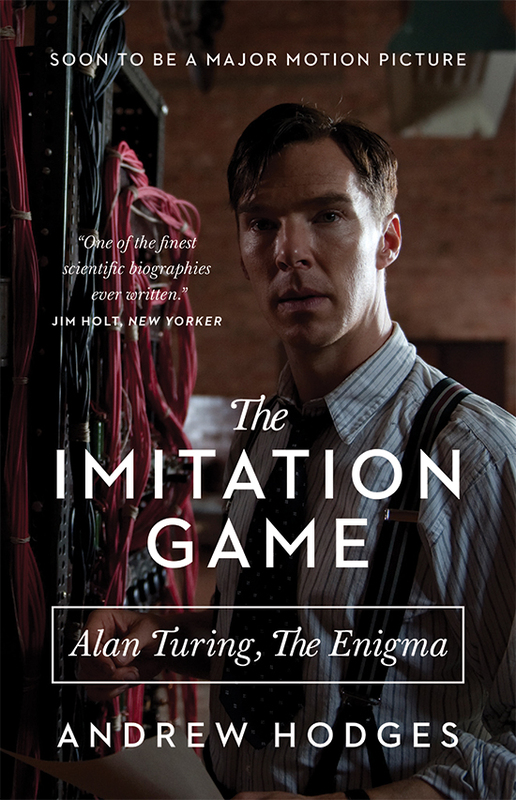 Very excited to be going to the opening gala to see the The Imitation Game. I’m all over historical drama at the moment as I’ve been working on a screenplay loosely based on the 1953 flood in Whitstable. I’ve not mentioned it before, but it’s coming together now and my agent is getting lots of interest/talks with broadcasters etc etc. All good. The truth is, the LFF isn’t like Venice or Cannes because it’s usually dismal weather, cold and dark. The venues are all over the place and there’s no one central shmooze-venue. But – BUT – I would say the parties and the buzz is off the scale more cool than any other festival maybe apart from Berlin. Which is why people like me LOVE IT. As for the for the closing night gala. Gonna give that one a big fat swerve. 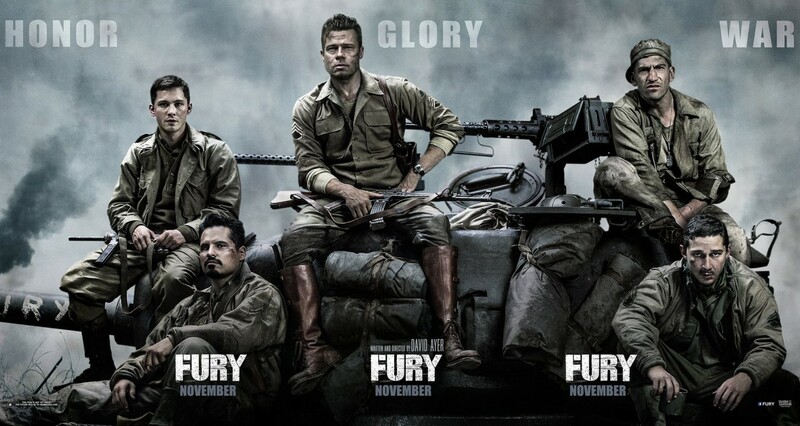 Fury – set at the end of WW2, gritty, human suffering, blah blah. Set in a tank that reeks of testosterone, sweat and fear. Violent etc. Well, I hate to admit it, but I saw Saving Private Ryan on the opening night in Venice and I nearly threw up on the Italian veteran sitting in front of me – that’s church, I swear it’s the truth. When it comes to war flicks, Private Benjamin or Kelly’s Heros is more my cup of tea. I get nightmares. But, you know, if you want to put yourself through that for two hours – don’t let me stop you! So, if you’re new to my blog, welcome, if you’re a member of the Whitty Times team – how about you make me a Whitstable Pearl? Or might that lose you a few hundred readers? Lol. Next blog – I’ll do a little review of the LFF and I suppose I’ll have to get round to my Assimilation Guide for DFL women. Best not put it on Mumsnet though. Hello Mumsnet! Lol.